At OBU students learn how all knowledge connects and how that framework can be informed by a thoughtful Christian worldview. Students have the choice of 87 areas of study, the opportunity to work and study abroad and the chance to engage faculty mentors. 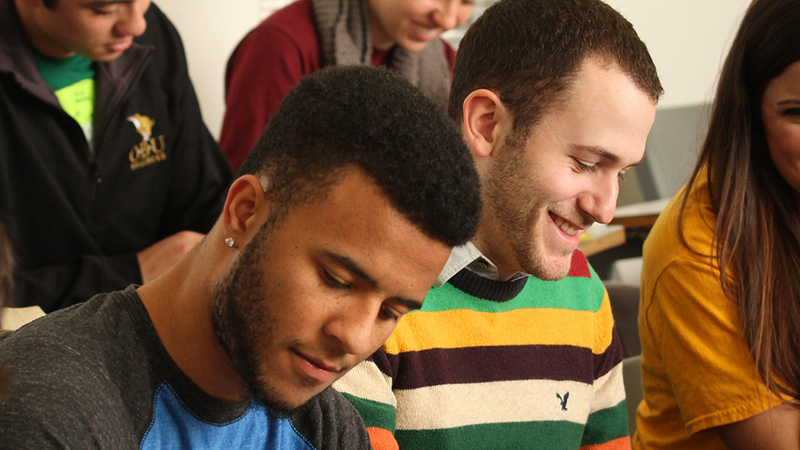 All of this occurs in a supportive community; one that’s dedicated to the highest intellectual and ethical standards. OBU’s Bison and Lady Bison student athletes compete in 21 varsity sports, including football, men’s and women’s basketball, cross country, golf, indoor track and field, outdoor track and field, soccer, swimming/diving, tennis, men’s baseball, and women’s softball, women’s lacrosse and volleyball. 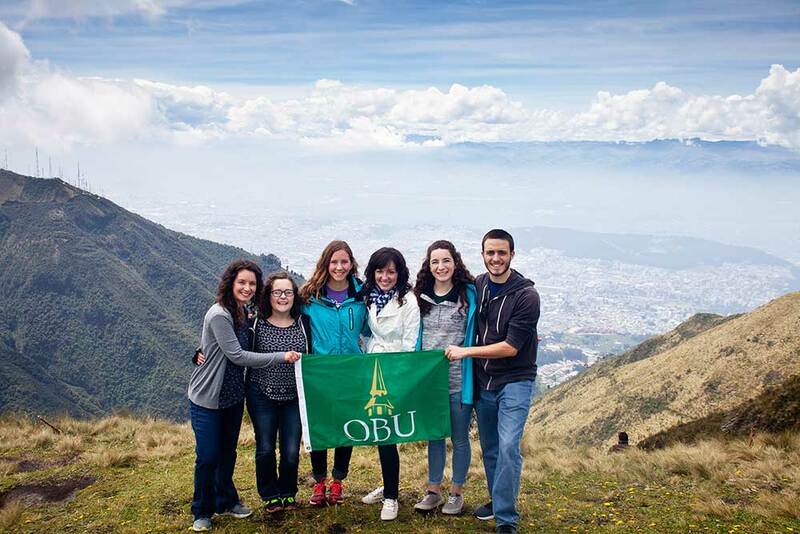 OBU welcomes all international students to join their academic community. Pursue academic excellence at Oklahoma’s top rated college and engage in discussion about faith and life with professors who know each student’s name. Financial Aid: 100 percent of OBU students receive some form of aid. 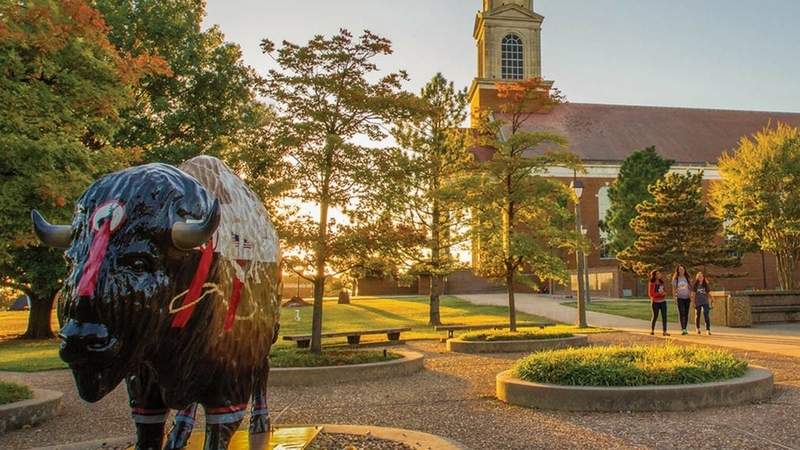 Want to hear more about Oklahoma Baptist University? Fill out our Connect Form and an AmeriStudy representative will contact you soon! OBU’s liberal arts training strives to bring out the best in each student, preparing each for a rich, highly engaged life. OBU graduates have a 90+ percent acceptance rate to medical school. Additionally, OBU graduate have been accepted into graduate programs at Princeton, Duke, the Mayo Clinic and George Washington University, among many others. Click here to browse academic programs. Graduate Tuition 2019-2020: Varies by academic program. *Please note Room & Board costs are calculated according to most commonly taken option. **Also note, total tuition reflects mandatory fees.